I first met Liane Merciel at PaizoCon. She and her husband hovered near the bar, perhaps intimidated by the fervor of Pathfinder fans in their natural habitat. I explained that they weren’t so daunting after the second Manhattan, and they agreed. We became bar buddies. Liane’s secret motive for attending the convention had more to do with her preparing to write for Pathfinder Tales. She’d already made a splash with her first novel, The River King’s Road, so everybody was eager to see what she did in the world of Golarion. She began with the web story “Certainty,” from which she later loaned me two characters for King of Chaos. She followed up with Nightglass, for which a sequel is in the pipe. Since then, Liane has been hard at work, both in her day job putting evildoers in prison, and on the side, putting them in her fiction. 1. As a lawyer, you must be a highly rational thinker. How does that sort of training affect your creative work as a writer? I mean, do you find yourself thinking of a legal brief while outlining? Do you struggle sometimes to let go of logic and focus on emotion for fiction? Ha, “highly rational.” Pull the other one, it’s got bells on. Legal writing is so different from fiction* that I’m not sure there’s much overlap between the skill sets, other than in the most basic sense of “can you hammer together a sentence in English without nailing your foot to the floor, y/n?” I mean, basically what I do all day is sit at my desk and try to think up 47 variations on “you’re guilty and your arguments are stupid, stay in jail.” Literally every paragraph in the brief is just a repetition of that same message. Generally speaking, fiction readers like their themes to be presented a little more subtly. I think the best part is that electric moment when a missing piece of your plot development suddenly falls into place and BOOM!, then you can write it with complete sureness of what you’re doing and where you’re going and which characters will do what when. A close second would be when you think of a cool new setting (bonus points if it has some thematic echoes) and get to lay out its description for the very first time. Unfortunately I don’t get those moments of natural flow very often, but they’re pretty awesome when they happen. 3. Your characters in Nightglass start out in a sort of evil Hogwarts, but then one of them goes on to become something more of a classic do-gooding hero. What compels you to show this sort of moral transformation? Or is it less about transformation and more about staying true to oneself despite indoctrination? That’s a good question. I think ultimately it’s a journey toward realizing oneself. One of the key questions for me is always: Who do you want to be? Why? And one of the ways I wanted to explore that in Nightglass was by posing the question of what happens when someone is raised in a particularly constrained and deprived environment, where that person may not be aware of the full reach of his or her own potential. It happens every day in the real world, of course; there are so many situations in which people have maybe one or two imagined avenues to success and every other option seems absolutely inconceivable to them. I wanted to pick out some elements of that situation and transfer them to a fantasy environment, and then think about how someone might try to break free from those limits, at first almost blindly and then with greater purpose, and how his aspirational vision of himself might change as his horizons broadened. 4. Your other popular Pathfinder character is a fallen paladin, so I detect an interest in questions of morality and worthiness. How will your next Pathfinder novel continue or diverge from this theme? It took me a minute to figure out which book might be meant as my next Pathfinder novel! Nightblade, the one I just finished writing, builds on Isiem’s journey toward becoming what he sees as a truly moral person. As far as his internal progression goes, it’s largely a continuation and expansion of the direction he started to take in Nightglass. Beyond that, the next (as yet only vaguely realized) book puts those concerns a lot more squarely front and center. A paladin, a diabolist, and a Hellknight walk into a bar… and turn right around and head to a coffee shop where they can all wear turtlenecks and talk about alignments. Also, swords. 5. For Pathfinder novels, I know you must be an outliner. How your outlines for shared-world stories differ from those for your original fiction? Quality control, mainly. Writing shared-world fiction means that somebody else has to go over your outlines and point out the flaws and suggest alternative ideas, which I always find tremendously helpful. Of course you can get that with good critique partners doing original fiction, too, but I never do because I hate my own work so much that I refuse to let anyone else look at it unless that is actually mandated by contract. So in my case it’s great (if agonizing), because it forces me to open things up for scrutiny at a point where they can still be meaningfully improved. Hooray! 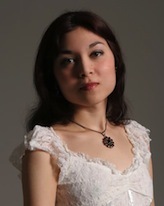 Liane’s next Pathfinder Tales novel, Nightblade, is scheduled for publication this October. 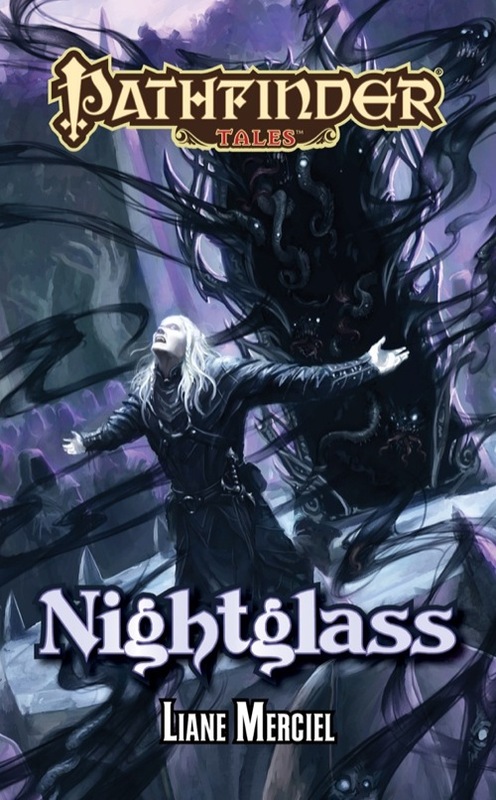 Night glass sounds interesting – I think I will put it in queue for my next fiction book. Have to finish at least one of the books I’m currently reading before I start a new one. Nightglass was amazing. A wonderful story of darkness turned to redemption. Can’t wait until her new Pathfinder book in October.